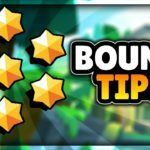 Piper Brawl Star Complete Guide, Tips, Wiki & Strategies Latest! 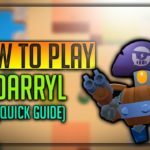 Home » Piper Brawl Star Complete Guide, Tips, Wiki & Strategies Latest! 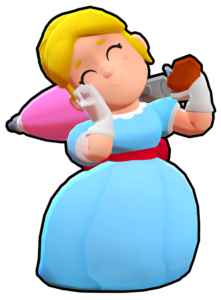 Piper is one of the popular long-range shooters in the game, She does incredibly heavy damage, If two shots reached properly, It almost kills the Enemy Brawler. 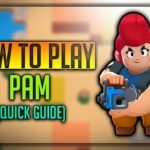 Let’s learn about Piper’s Tips, Tricks, Strategies, Wiki & complete guide about her in this article in a detailed way, Read this article till the end, So that it can open your knowledge up. 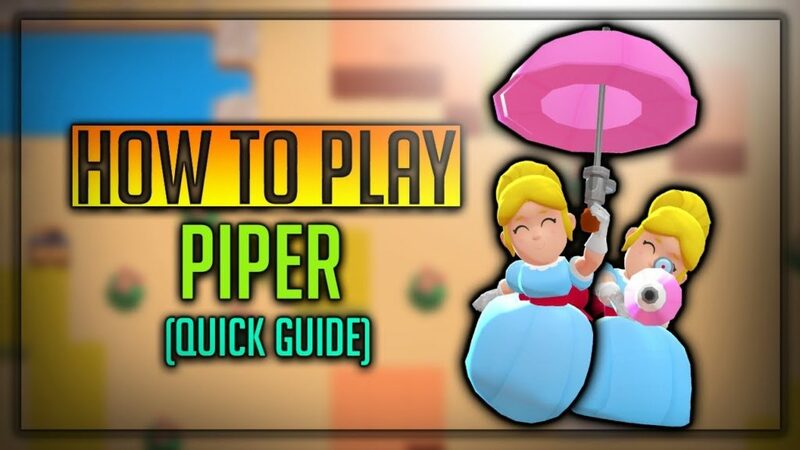 Let’s dive in-depth to Piper’s Wiki. Piper is an Epic Brawler like Frank and Pam. She is the beautiful lady in the game. Piper’s attack is “Gunbrella” she shoots with an umbrella in her hands for a very long range like Brock, Once it hits the target it does a incredible damage to the enemy. Piper’s super is Poppin’, When a dangerous situation arises, She can fly to the safe zone, Dropping bombs while taking off, Much similar to crow! Let’s discuss her stats in-depth. Piper’s attack name is “Gunbrella”, Don’t think that it just a normal umbrella, She has a sharp shooting sniper hidden in it. She shoots at a very long range with her Umbrella, As the bullet travels for a long distance, It gains thrust and does more damage. She is very sharpshooter like Colt, One Strong powerful bullet, Passes and attacks the enemy. So, Piper is very effective against nearby Brawlers. Despite her strong attacks, She is very slow to reload. Piper’s Super name is Poppin’, Whenever a herd of enemies surrounded her, She opens up her umbrella and flies back to her safe place. While taking off, Piper drops of 3 Bombs, Enemies in that area gets huge damage from it. It is a very useful ability to escape from a battle easily. Piper’s maximum potential is unlocked when she reaches level 9, Her star power Ambush is unlocked. When she is hidden and performs the attack, She will get extra +400 damage, The colour of the bullet changes to rainbow one, Dealing devastating damage than the normal bullet. Piper is the best sniper in the game, She can target, Focus and can kill most of the Brawlers at two shots, Each shot is very powerful. The bullet does more damage as it travels farther. Very Strong against long-range shooters and lobbers such as Rico, Dynamike and Barley, Very powerful. Her Super allows her to escape from very bad situations, Comes very handy in situations like Gem and Grab. She can break walls with her superpower. 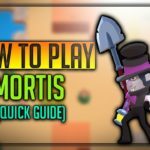 She is highly vulnerable at very close range, She cannot do that much damage, Close Combatters like El Primo, Mortis can kill her very easily. She always needs a cover to work properly. She has very low hitpoints. Her reload time is very slow. 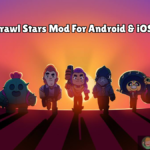 How to use Piper Brawl Stars? It is very easy to use Piper, Use left analog to control her movements, Right analog to either swipe and shoot or tap to shoot. She is a long ranged sniper, Her attack is strong when the bullet passes from long range and impacts, So rely on some other Brawlers to cover you, So that you can damage enemy easily from a far distance and help your allied Brawler. Do hide in Bush, When enemies are in range, Try to do a double shot with her Parasol, So that it can finish off that Brawler instantly, As it deals damage greater than enemy Brawler. When in tough Situations, Use her super to fly off from the area & Reach safe place. Always try to predict your target movements and shoot them properly, Because, For all the long-range shooters, This is the main problem, Enemy could dodge very easily, You should predict their movements, Properly target and shoot to get maximum kills. At Beginning of the game, Try to expect the arrival point of the enemy, And Gunfire all the three shots, It could fetch you some initial kills for you. Never ever try to close combat any enemy, Just run away & Maintain range. 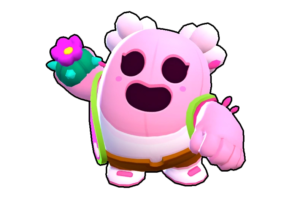 Piper is very effective at Gem and Grab Because She can target from long range and shoot, As in it we can predict enemy movement very easily Near the core points. In Heist, She can assist in getting kills of enemy Brawlers from long range. Excellent at Bounty on killing enemy targets from very long range. Checkout stats of Piper below. Piper Skins & How to unlock? Piper can be easily unlocked when you have trophies more than 800, Piper has default skin, Currently, no skins are there for Piper, More skin ideas for Piper is here. 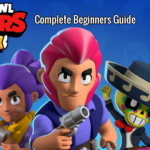 We hope you have liked the article about Brawler Piper Complete Guide, She is a very powerful troop, She can finish off enemies very easily, If used properly, Practise it properly against Bots.